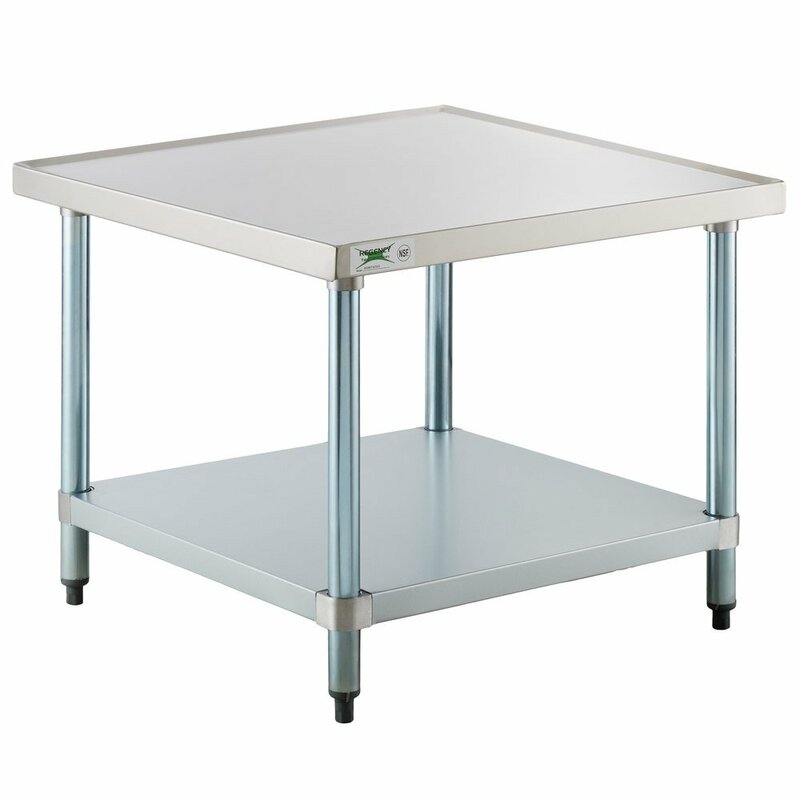 Support your mixer or a wide variety of other kitchen equipment with the Regency 30" x 30" stainless steel mixer table! 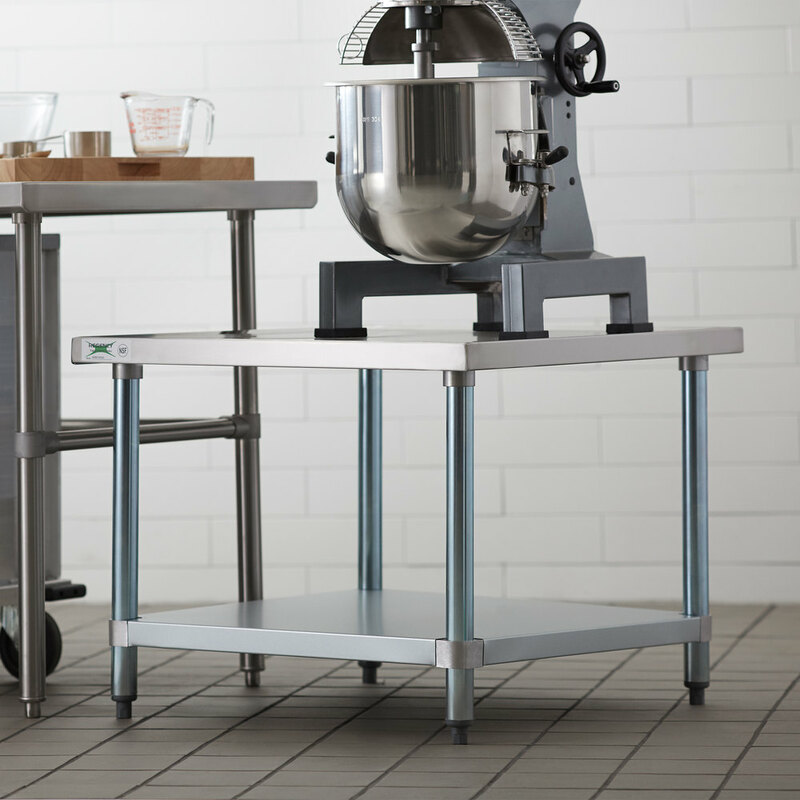 This mixer table features a durable 18-gauge type 304 stainless steel top that's easy to keep clean, and it's capable of supporting up to 800 lb. of evenly distributed weight. Its galvanized steel legs provide the long-lasting reliability you need for your business, and adjustable plastic bullet feet allow you to level your stand on uneven floors for peace of mind. 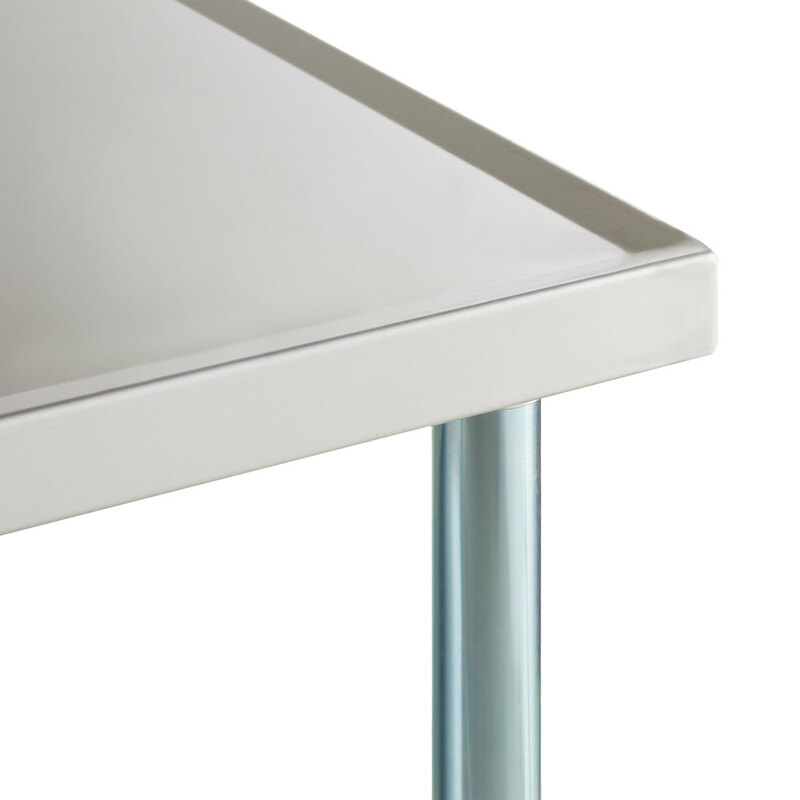 Thanks to its raised edges, this mixer table ensures your equipment won't slide off the side of the table when in use. The galvanized steel undershelf offers additional storage possibilities, as well. It can hold up to 620 lb. so you can keep additional equipment and supplies close at hand.